Note: Don’t forget to see our list of bands that played at the Bronze! From the beloved theme song by Nerf Herder to the moving Sarah McLachlan-themed Season 2 to the historic musical-episode in Season 6, the music behind — or from! 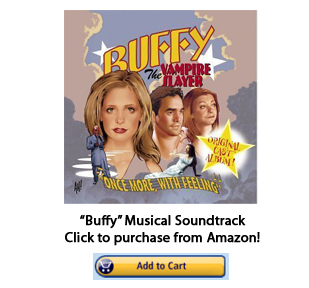 — the actors and actresses is also just one of the many elements that have captured the hearts and souls of every “Buffy” music fanatic. The theme song by Nerf Herder opens with typical gothic sounds of a werewolf’s howl that leads into four organ notes before loud, alternative-music guitar riffs take the listener into the rest of the short-but-powerful opening. 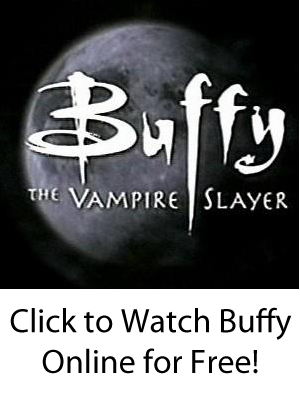 According to creator Joss Whedon, the goal was to combine the historic associations with vampire lore with the mid-1990s music that was popular at the time — in other words, putting a modern twist on an age-old story. Later, as the viewer sees in many episodes, the main hang-out joint for the characters is the Bronze, a club that (for some reason) lets in high-school students (but seems to card, since not one of the Scoobies has a drink there until they are in college). The Bronze seems to have a live-music act every night, and the bands that the show would feature would tend to be under-the-radar alternative bands whose (usually) good music would likely never have been seen if it were not for the show. Popular artists like Aimee Mann and the Breeders would not appear until (the last) Season 7. Mainly in the early seasons that occurred in high school — most memorably, in the season finale of Season 2 — a lot of the scenes were wrapped in the music of Sarah McLachlan, whose emotional, soaring lyrics usually swelled during the most-emotionally devastating experiences that Buffy herself endured. But not all of the music in the show was, shall we say, depressing — not in the least. Season 6 brought the critically-acclaimed musical episode whose Emmy snub was universally panned in the entertainment industry. The lyrics and music, written by Whedon himself, revealed many truths about the characters and advanced the plot of the episode itself and the season generally. Just like any good musical.